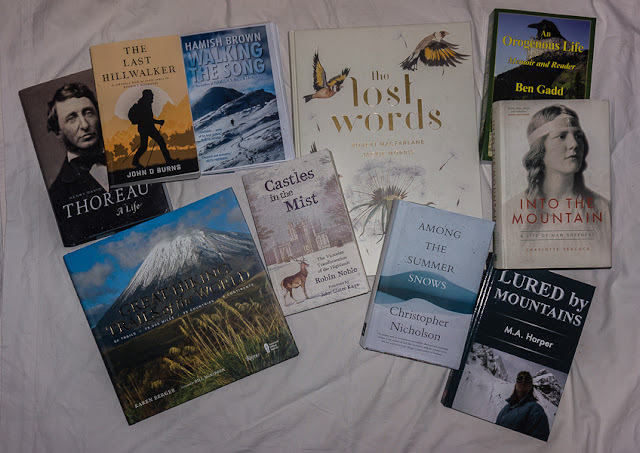 There were many excellent outdoor and nature books published last year, quite a few of which I haven't got round to reading yet. Here are brief reviews of the ones I have read and enjoyed most. This is a wonderful, magical book, ideal for losing yourself in. It's described as 'a spell book for conjuring back these lost words' - the words being those of the natural world that are disappearing. The book does this through lovely pictures and words of enchantment that lend themselves to being chanting out loud. Spells indeed. A fascinating book showing how the Victorians turned the Highlands into the vast sporting estates that still dominant the landscape today. 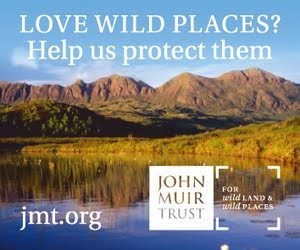 The author describes the impacts this change has had and is having on nature both through history and through his travels to many of the estates. 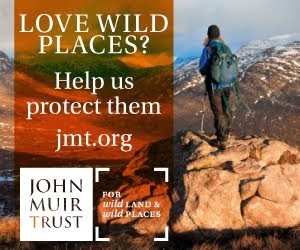 Invaluable for understanding the Highlands. A superb account of the author's fascination with summer snow in the Highlands and his excursions to find it, intertwined with meditations on memory, loss, death, ageing and more. I reviewed it more fully here. A diary-style, stream of consciousness account of the author's astonishing outdoor life. M.A Harper has been a mountaineer, kayaker, outdoor instructor, skier and trek leader and has travelled all over the world. 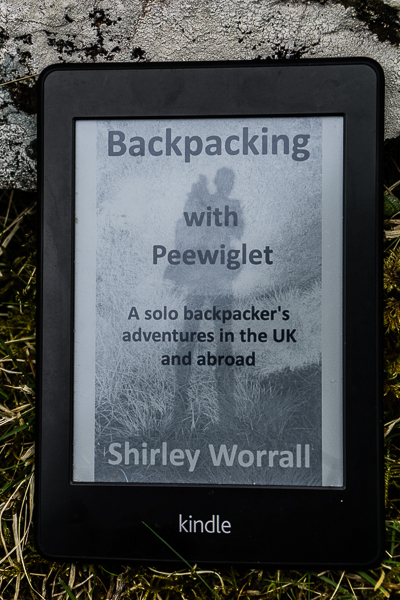 In this book she describes a wealth of adventures from a first ascent in the Himalayas to climbing the Munros and walking the TGO Challenge. This collection of essays by Hamish Brown doesn't disappont - he is after all one of the leading outdoor writers of the last forty years. The book covers his life from the years of the Second World War through to recent ventures. As well as his own walking, climbing, skiing and kayaking adventures there are history, biography and nature pieces. Some very amusing tales too! 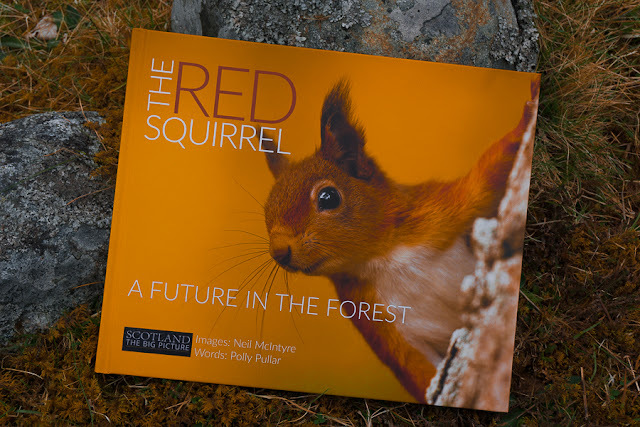 A book full of beautiful photos of red squirrels accompanied by a text packed with information about the life of these delightful animals. Also a call for the conservation and restoration of the forests on which red squirrels and other wildlife depends. Longer review here. Nan Shepherd's The Living Mountain, about the Cairngorms, has become one of the iconic books about the hills. Before this biography it was hard to find anything about Nan Shepherd herself. Charlotte Peacock has done a wonderful job of piecing together Shepherd's story, setting it in the social and economic milieu of the time and showing how the author came to write her major work. Entertaining and thought-provoking this book tells the story of the author's progression from bumbling hillwalker to serious mountaineer to his current life as a bothy-bagger. There is wry humour throughout but also a deeper tone below the surface. There's a fuller review here. A lovely coffee-table book packed with mouth-watering photos and descriptions of tempting walks. A book to dream over. It's aim is to inspire. It does. More thoughts here. This a book I'm currently reading and I haven't progressed very far yet. However I've read enough to find it fascinating and comprehensive, setting Thoreau in the social and intellectual world of the time and showing just what his achievements were and how he is still relevant. Ben Gadd is the author of the excellent and comprehensive The Handbook of the Canadian Rockies, a copy of which I bought from him back in 1987 and which inspired me to walk the length of that mountain range a year later (carrying his book the whole way). Here he tells the story of his life as a mountaineer and naturalist. I've only dipped into it so far - it arrived just before Christmas -but it looks a fascinating read. I get a mention too and a photograph taken on my walk that I've never seen before, which was a surprise. All the above are actual paper books and were mostly read at home or on train and plane journeys. With no long walks in 2017 I read far fewer ebooks than usual. Here are two that did keep me entertained during long stormy nights in a tent. 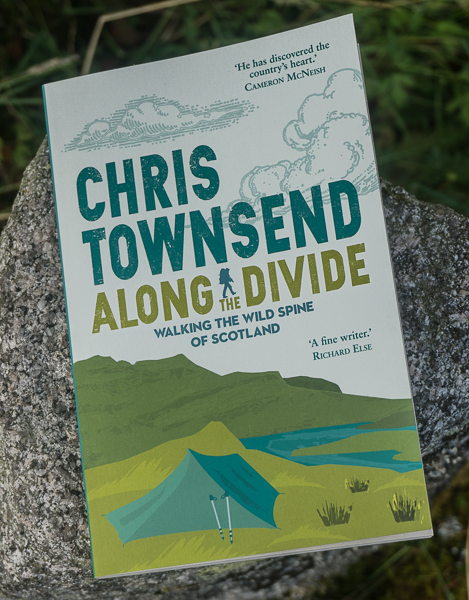 Full of backpacking stories that really capture the day to day reality of long-distance walking and wild camping in a down-to-earth fashion this is a book that inspires and informs. Outside revelling in nature or inside interacting with a computer? Is there a conflict between the natural and digital worlds? Do you need to give up the latter for the former? 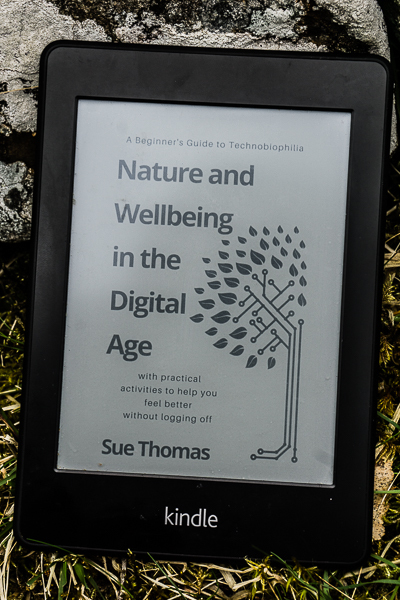 No, says Sue Thomas in this entertaining and thought-provoking book.